For academic excellence and a holistic approach to Catholic education that includes the entire family, look no further than St. Mary School Swormville! Dedicated to the whole child, we provide a strong moral and academic foundation in a Christ-centered, nurturing, and technology-rich, hands-on environment. Committed to serving the entire family, our programs encourage and support family involvement in a variety of social, academic and athletic events, and faith-based activities. 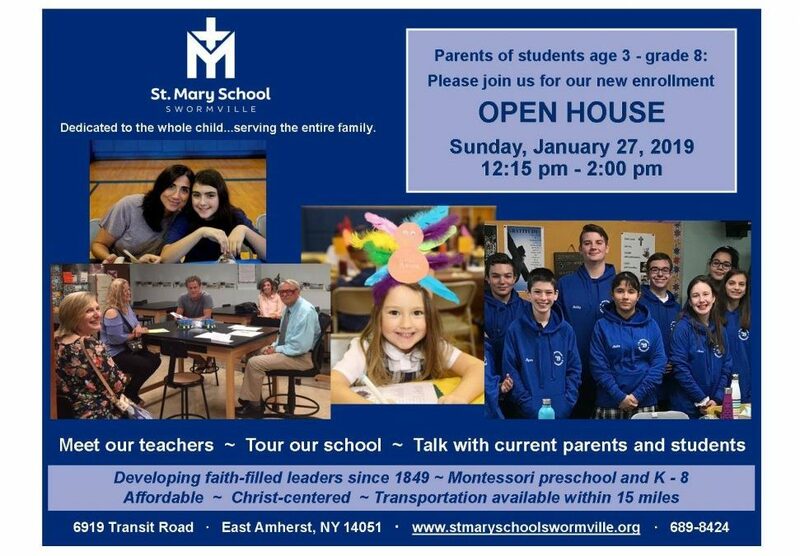 Come and join us on Sunday, January 27th, from 12:15-2:00PM to understand why we are so special. Teachers, current students and staff will all be available to chat with that day! Registrations will be taken for early enrollment.